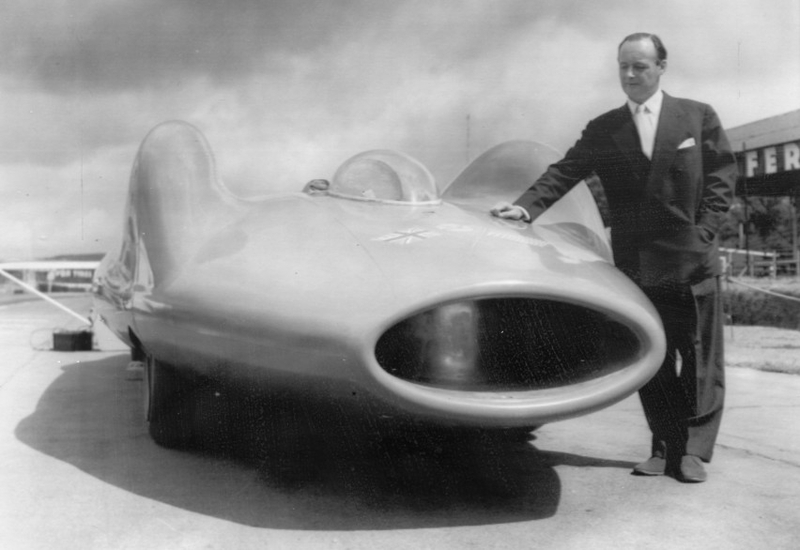 For more than 50 years, the name of Donald Campbell has been synonymous with the pursuit of speed records — both he and his father shared the same passion for going faster than anyone else. Sir Malcolm Campbell was a pioneer in speed records and broke 13 world records during the 1920s and 1930s. His love of speed was inherited by his son, Donald — the only man to set eight world speed records and hold them for land and water at the same time. 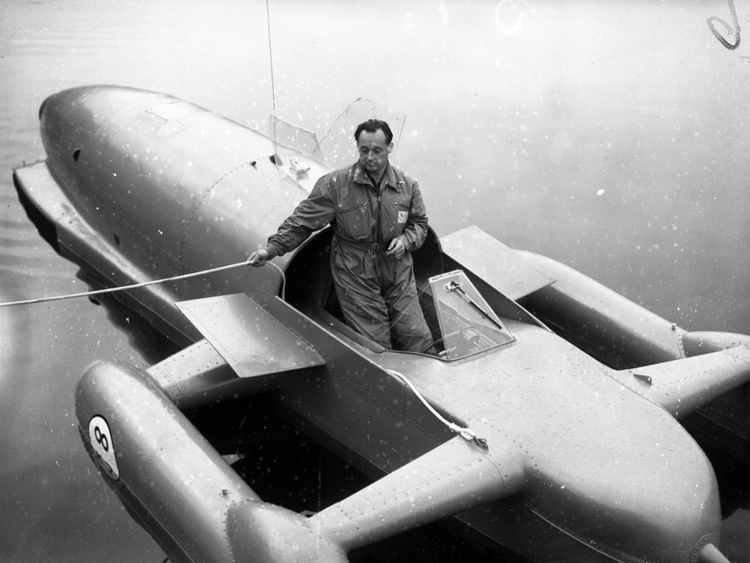 Campbell junior died in a spectacular crash on the waters of Lake Coniston in early January 1967 in the Lake District of northwest England, piloting the hydroplane Bluebird K7 in an attempt to become the fastest man again on water. Accelerating past more than 480kph, Bluebird flipped, spreading debris across Coniston as the main body of the jet-propelled speed machine sank to the dark and murky waters below. Campbell and Bluebird were supposed to rest at the bottom of the lake forever, and the site became a place of pilgrimage and silent prayer for many who were inspired and moved by Campbell’s dashing personality and daring passion to go faster than anyone else. In 2001, however, the wreckage of the Bluebird was discovered — with Campbell’s remains still strapped into the small shattered cockpit and wearing his race suit. For his family, recovering his remains and having a funeral provided a measure of closure. Up to that point, they were left with the final searing image of the bow of Bluebird suddenly lifting and then somersaulting back into the lake in an instant. But over the past 18 years, as the myth of Campbell junior endures 52 years after his tragic death, a small team of Bluebird enthusiasts have held on to the dream of bringing the K7 back to life. And after years of fundraising and painstakingly rebuilding the hydroplane craft back to its original condition, they hope to return it once more to those dark and murky waters of Lake Coniston, to complete the double end-to-end speed run that claimed Campbell’s life. He was posthumously awarded the Queen’s commendation for brave conduct. For the best past of two decades, the Bluebird Project, led by engineer and diving enthusiast Bill Smith, have invested a lot of money and all their spare time into putting Bluebird together again, piece by piece, with the work being painstaking carried out in a small lockup unit in Tyneside, in northeast England. Last August, gently, lest it get as much as a scratch, the restored Bluebird was loaded onto a trailer with all the respect worthy of a craft that once held seven separate world speed records on water, to be driven north to Loch Fad on the Scottish island of Bute. There, the Bluebird Project would again fire up its jet engine and let the hydroplane run free for the first time in more than five decades. Campbell’s daughter, Gina, was 17 when her father died on Lake Coniston, and was at Lake Fad last summer to see the restored Bluebird for the first time. For Project Leader Bill Smith, the boat’s arrival in Bute marked just the latest chapter in a two-decade struggle to bring Bluebird back to life, and it’s a craft that he believes has a mind of her own. Almost on que then, Bluebird seemed reluctant to be lowered into the water. The hoist on the crane lifting it jammed, requiring a delay of an hour — but that’s a miniscule delay for a craft with a remarkable history, pedigree and rebuilt from the twisted aluminium hulk that claimed Campbell’s life. Performance anxiety, it seems, is nothing new for Bluebird. When she was brought to Lake Coniston in 1966 for Campbell’s ill-fated speed attempts, she immediately became stuck in the mud — a powerful portent perhaps that she instinctively knew the danger she would one day face. After years punctuated by hurdle after hurdle, Smith and his team of volunteers in mid August finally got to see Bluebird move at speed as she was built and painfully rebuilt to do. Ted Walsh, the trials pilot who sat in the same seat in which Donald Campbell died, approached his historic task with apparent calm. While the body of the craft has been totally rebuilt, the original engine that propelled the 47-year-old Campbell on his last fateful voyage was too badly damaged and decayed, with a used fighter jet engine being installed instead. 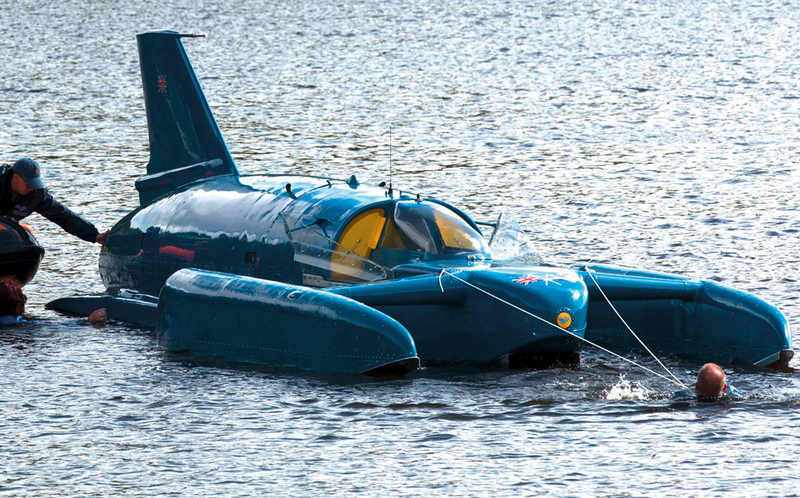 After days of testing on Loch Fad, Smith and Project Bluebird had proved that the craft could move at speed, and the only question now is just when or if indeed Bluebird should return to the surface of Lake Coniston in tribute to Campbell and in defiance of where it lay undisturbed on the lakebed for so long. But the Lake District Authority that administrates Lake Coniston had expressed its disappointment when it was initially announced that the hydroplane would undergo crew training and testing last summer on Bute. “We are thrilled that after extensive consultation with a wide range of stakeholders on the island, agreement was reached to travel to Bute in August 2018, with assistance from the British Army, to get Bluebird K7 waterborne again and under her own power for the first time in over half a century,” it said. The event was described as “an integral part” of bringing the iconic craft “back to the forefront of the public conscience”. But Steve Tatlock, park management team leader for the Lake District National Park, said it had been hoped the trials would have been conducted on Coniston instead. For his part, Smith said then he hoped that Bluebird would indeed one day traverse Lake Coniston again, but that details were still being worked out. For Gina Campbell, who has lived with the tragedy of her father’s death, the removal of his body from the lake after 35 years, and the restoration of Bluebird, the answer is simple. “My dying promise and wish is to see that boat back on Coniston,” she said. Now, it seems as if that will indeed happen. The Bluebird Project and the National Park Authority have sorted out their differences. Bluebird will return once more to Lake Coniston on July 19, and traverse its waters for 10 days.